As of March 2017, the top two largest app stores, Google Play and the Apple App Store, boasted over 5 million apps available with downloads exceeding 200 billion in 2016. Apps maybe known for gaming, news, and health & fitness, but there is a large growing category focused on productivity and organization that is ideal for small business owners for free or little cost. If you haven’t had time to navigate through a boundless list of applications, below is a selection of the top apps proven to work best for small business owners. Most of your business bookkeeping activities can easily and effectively be managed through this singular application with the recognizable name of QuickBooks. Create, view, and email estimates, invoices, and sales receipts; access customer information; convert estimates to invoices, receive payments, track expenses, download and reconcile bank transactions, and use your custom. Scanner Pro allows you to scan paper documents into PDFs that look clean and professional. It is time to replace huge hardware scanners with mobile technology for quick, on-the-go paperwork processing. The DocuSign electronic signature app provides consumers and professionals with a simple way to legally sign and return documents from anywhere, anytime, on any device. And best of all, signing is free. TSheets is a flexible, easy-to-use time tracker filled with innovative tools to help you maximize your most valuable resource: time. Whether your employees sit in an office, work in a warehouse, travel between job sites, or spend the day on the road, there's a simple timesheet solution just for you. Works seamlessly with QuickBooks. Payroll just got supremely easier by linking paydays to Wave. No more running around with checks. Pay gets deposited right in your employees’ bank accounts, quickly and reliably. Less work for you, and your team will love it. Employees can log into Wave securely to access their pay stubs and W2s, and manage their contact and banking information. If you’re managing more than a few employees and are starting to think about implementing larger, more complicated processes, Trello is a great option. This card-based system lets you easily create, assign, monitor, update, and complete different tasks—it’s a top way to make sure everyone is as productive and efficient as possible. Plus, Trello integrates with other small business apps like Slack. Hubspot CRM automatically logs emails with your contacts. It helps sales teams navigate and chart opportunities by tracking email conversations, contacts, companies, deals, and tasks — all in one seamless application. Oh, and one of the best parts, it’s completely free! Slack is productivity app that makes instant messaging work-friendly. Instead of holding unnecessary meetings or typing twice as many emails up as anyone needs to, you can just shoot a quick slack over to one of your employees—and get an answer just as swift. With a free trial and a premium version with additional features, Slack is well worth trying. Especially since they claim to increase productivity and operations by 32%. Hootsuite allows users to schedule posts for Twitter, Instagram, Facebook and LinkedIn accounts all from one app. View and manage all of your top social networks from one place to make social promotion and messaging streamlined in one application. 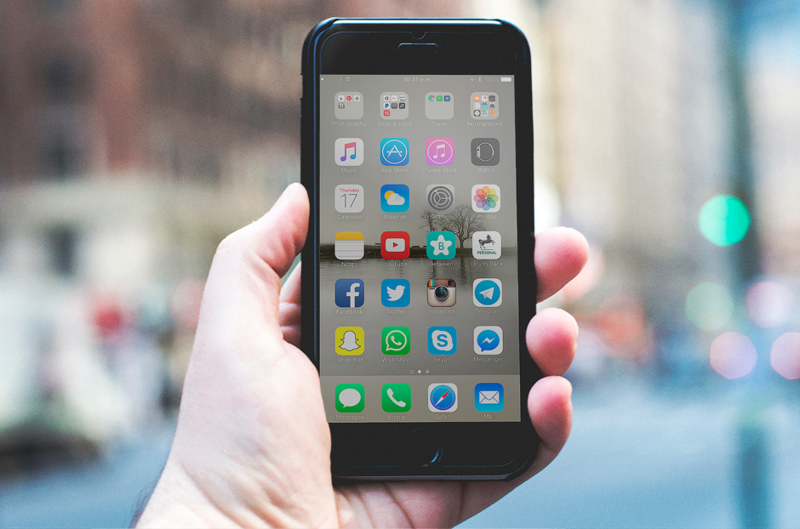 If the last few years are any sign, there will always be a growing number of apps in development to assist business owners in working smarter, not harder. With the right combination of applications, you can update your business processes, simplify your business finances and strengthen employee accountability, all with the tap of a finger. Looking to grow your business and need help with funding?